SurfEasy VPN is headquartered in Canada but owned by the US-based Opera, the folks who built the Opera browser. The SurfEasy brand operates separately, and its VPN is not the same as Opera VPN, although SurfEasy is also available as a browser extension. SurfEasy takes the cake when it comes to the free trial plan, which lets you connect up to five devices. It’s limited to 500MB, but you can expand that by spreading the word and connecting more devices. “Total” comes with 16 server locations, support for up to five devices, unlimited data and tracker blocking. It kicks in at $4.99/mo if billed monthly, or $47.88 if billed annually. “Ultra” expands the server coverage to 28 countries and adds torrent protection to the equation. This one will set you off $11.99/mo if billed monthly or $77.88 if billed annually. All plans come with a no-question seven-day money-back guarantee, but you can only pay with a credit card or PayPal. So, if you’re after anonymity, you will have to look elsewhere. The monthly pricing isn’t all that cheap, but the annual fees are much more reasonable and don’t seem overpriced if you ask me. SurfEasy provides apps for Win, Mac, iOS, Android and Amazon devices, plus browser extensions for Chrome and Opera. All it takes to get a free trial is subscribe with your email, and you’re up and running in a matter of minutes. The user dashboard gives you a quick access to the download files, FAQ, upgrade page, and your account stats. The Windows client is super-swift and dead-simple. Minimum settings, basic usage stats, ways to upgrade or earn free MBs, and a list of countries with a connect toggle. The main window displays a neat map that shows your location and four central readings – your public IP address, your masked or real location (depending on whether VPN is connected), and your connection status. The fourth stat is for the ad tracker blocking – the feature available in the paid packages. The mobile client is equally sleek and fast and comes with a nifty desktop widget for one-tap connection. You can also set all the SurfEasy apps (desktop and mobile) to start automatically when your device connects to a new Wi-Fi network. It’s especially useful for mobile devices since you can forget to enable VPN if you’re anything like me and use public WI-Fi a lot while traveling. 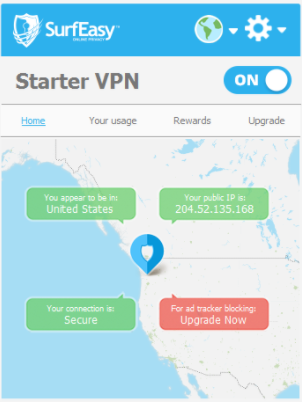 Overall, SurfEasy is a no-hassle option if you’re a newcomer to the VPNs and need something that lets you surf safely with minimum user input. There’s no customization for the power users here, but that doesn’t mean SurfEasy has nothing to boast. You can connect up to five devices with a single account, and the bandwidth is not capped in the paid plans. The provider explicitly supports P2P but to enjoy protected torrenting you need the Ultra subscription. Tracker blocker kicks in to protect you from advertisers’ and social networks’ cookies snooping on your online activities. Even though the apps don’t have any toggle for the DNS leak protection, the feature is implemented at the server level, so you’re safe on this part. I wish there were a kill switch, but overall SurfEasy looks solid despite the lack of customization. I was impressed with SurfEasy speeds and performance. Usually, the further the server is located from your physical location, the slower are the speeds. Not in this case, as SurfEasy improved my upload speeds for both the US and EU servers. With the stellar speeds and security checkups, I thought I was in for a smooth streaming experience, but alas. While I was connected to the US server, SurfEasy only got me as far as to Netflix Canada, and that only up until the moment their VPN guards locked me out. 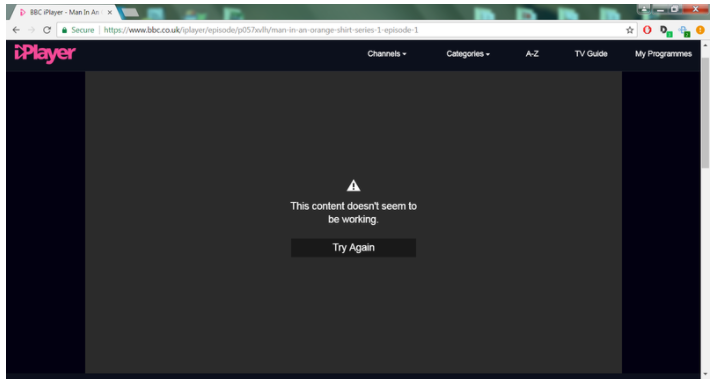 Same story with BBC iPlayer – I logged into my account, but couldn’t stream anything. On the security front, SurfEasy implements all the right technology by default but leaves the user out of the equation. It’s OpenVPN and AES-256 encryption by default, which is the current golden standard for the VPNs. As far as your privacy goes, there are a couple of things to consider. First, the Canadian laws are privacy-invading, and you can multiply that by two since SurfEasy is the property of the US-based Opera. So, the 5 Eyes, Big Brother, data retention, subpoenas et al. are on the table. Second, the provider keeps your email and billing details for understandable reasons, and if they receive a request from law enforcement, they comply. Third, they can and will cut you short if you abuse or clog the service, but that’s true for any VPN provider. 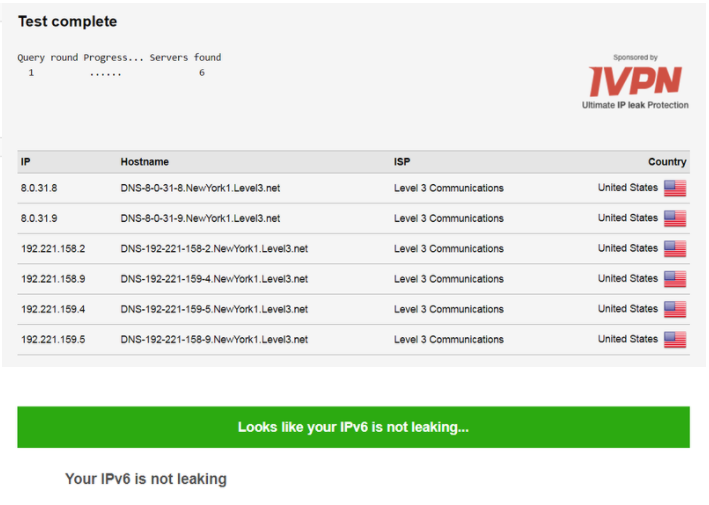 On the one hand, they don’t log your real IP address, nor the websites you visit while connected to the VPN. SurfEasy is a very easy-to-use VPN with great speeds, and it could be ideal if you’re undemanding and don’t mind a US-Canadian provider. If you’re on the paranoid side and need watertight anonymity, there are better offers elsewhere.